It's time to get excited, as the amazing Country Megastar takes centre stage this coming summer! That's right – Miranda Lambert & Little Big Town are coming LIVE at Hollywood Casino Ampitheatre on the Saturday 25th August 2018! Set with an all talented line up, jam packed set list with countless hit songs and all of the energy that Miranda Lambert brings with her… it's bound to be an unstoppable show!! From her incredible debut back in 2005, up until today – Miranda Lambert has always made her mark on the Country music charts with her first album “Kerosene,” which rocketed her career straight to the top a best-as each single of which hit the top 40 on the Billboard Hot Country Songs chart! To her next releases that also gained her nothing but success… Miranda Lambert churns out hit after hit such as, “Platinum,” and “The Weight of These Wings.” Platinum gave Lambert an even bigger status, winning her a dream come true, Grammy Award! On support for this unmissable August show is the one and only, Little Big Town, as they have been making their way slowly up the ladder in the mainstream game, they have also been crafting the perfect hit songs from their first release back in 2002 to their second record, "The Road to Here" – were they reached platinum status! 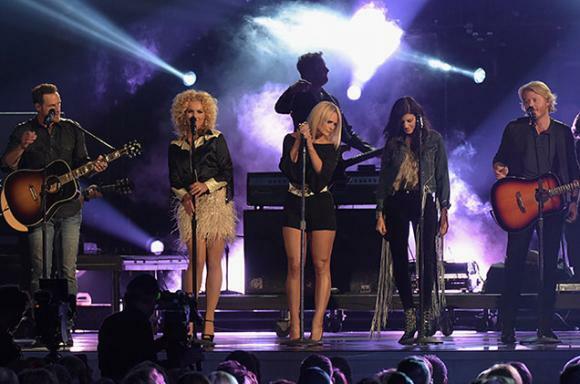 Tracks from the record took to the Hot Country Songs and Country Airplay charts… And to this day Little Big Town are world widely known for these top country music’s greatest hits, including “Girl Crush,” “Pontoon,” and most recently, “Better Man”. If you love these two artists then whatever you do – don't miss this out of the world night of entertainment!! Tickets available right here, right NOW! !